Created by Daniel Speed. 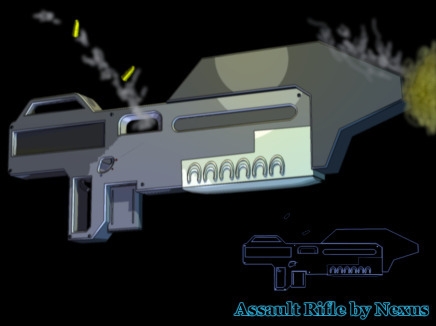 "Here's a bit of art I am working on, the Assault rifle from the videos. it has been rendered in a cartoon style and I've touched up some effects to it."